Une Marquise | One quality, the finest. 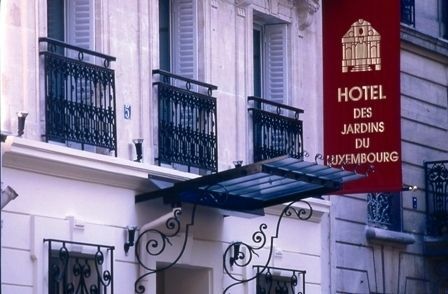 I learned a new word from my bedside reading book on architecture (Grammaire des Immeubles Parisiens: Six siècles de façades du Moyen Âge à nos jours, by Claude Mignot). 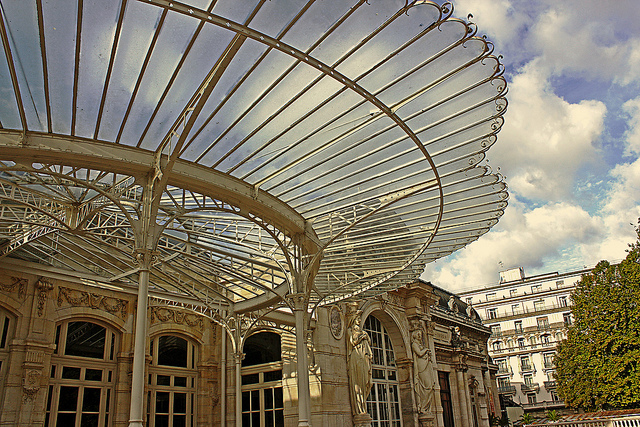 Une marquise (oon markeys) is a glass canopy over an entrance, usually in a fan shape, with ribs made of forged iron. 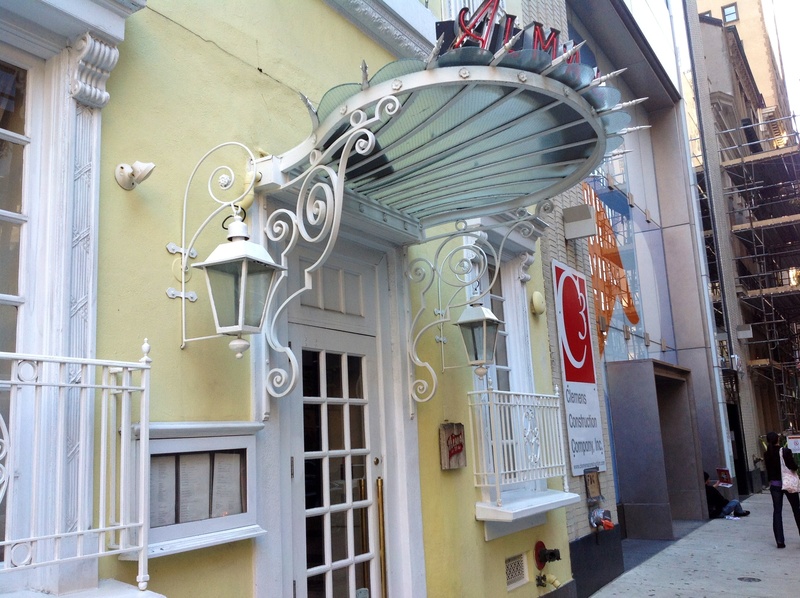 If you see an original, the building probably was built in the 19th century. Here’s one from my neighborhood in Paris. 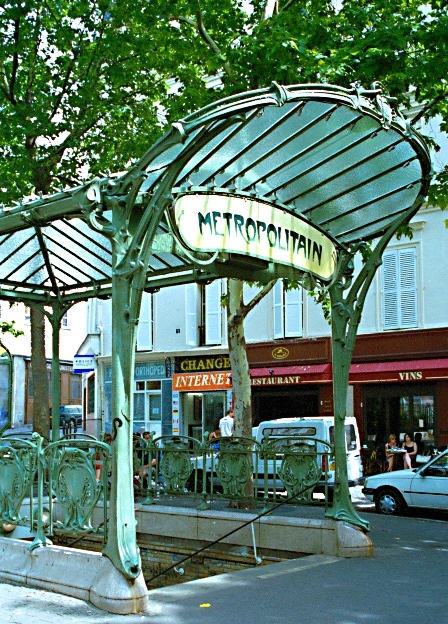 The early 20th century glass-canopied art nouveau metro stations by Hector Guimard aren’t truly marquises because they aren’t attached to a building, but they bear similarities. 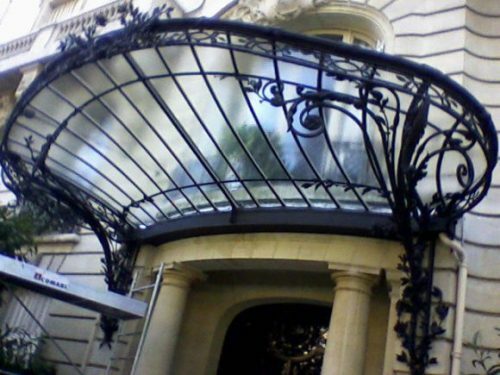 You see examples of this style in cities other than Paris. Here’s a photo of a marquise on Walnut Street in Philadelphia from the same era. They’re like jewelry, aren’t they? 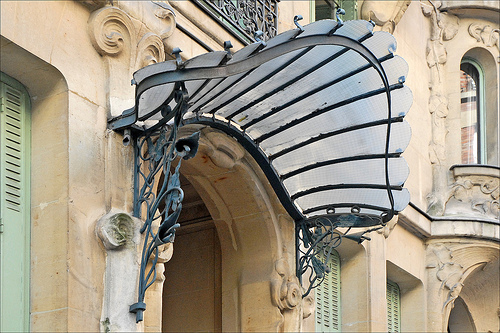 This entry was posted in Architecture and tagged Claude Mignot, Grammaire des Immeubles Parisiens: Six siècles de façades du Moyen Âge à nos jours, Hector Guimard, Paris architecture, une marquise. Bookmark the permalink. Love this. Is that book available in the U.S.? I’d like to add it to my Christmas wish list. Yes! Just click on the hyper-link to order through Amazon. I’ll earn a few cents to help fund this blog, so I hope you get it for Christmas!